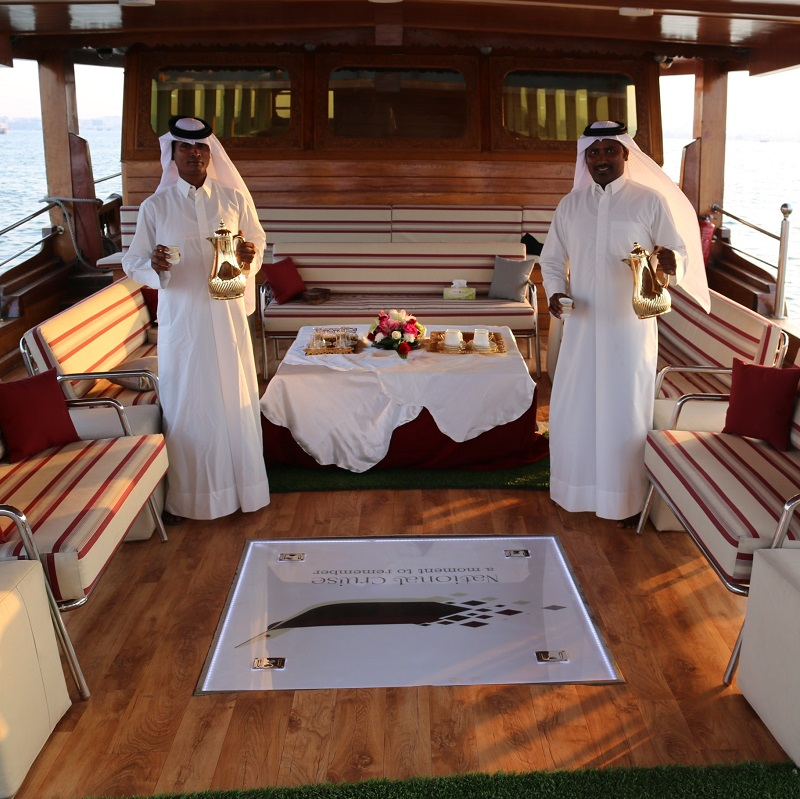 Ronautica Middle East has been a leader in the yacht charter market in Qatar for the last 7 years, offering beautiful yachts and boats with quality crew. 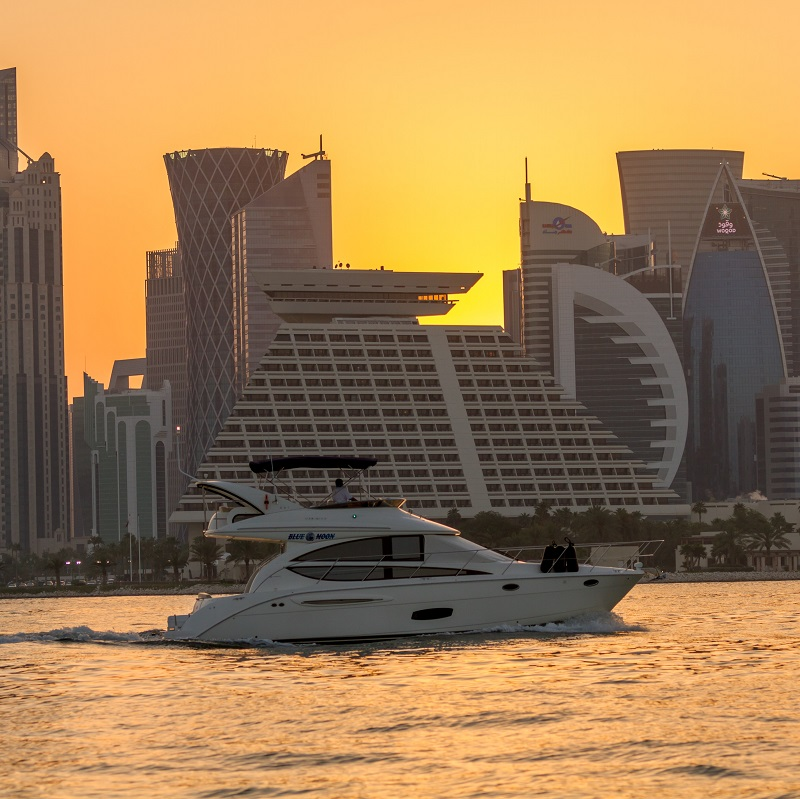 We offer our own vessels and have partnered with a number of the quality local service providers to bring you a selection of the best yachts available in Qatar. All our services are offered with full accreditation, certification and insurance to operate safely, professionally and responsibly. 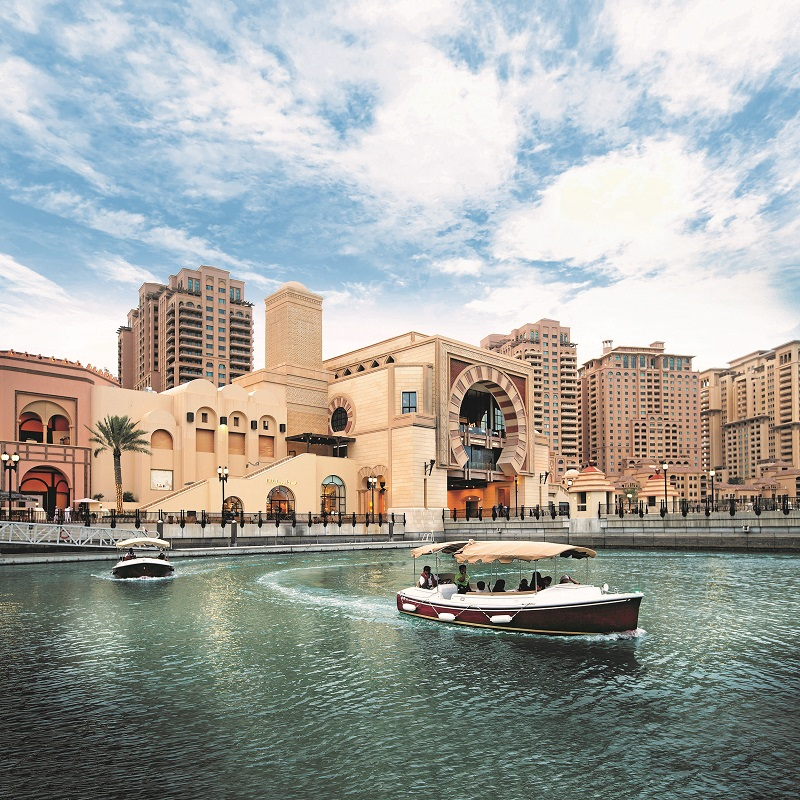 Our services meet or exceed all standards and requirements of the Qatar Tourism Authority and the State of Qatar Ministry of Transport & Communications and we insist that our partners meet the same standards. 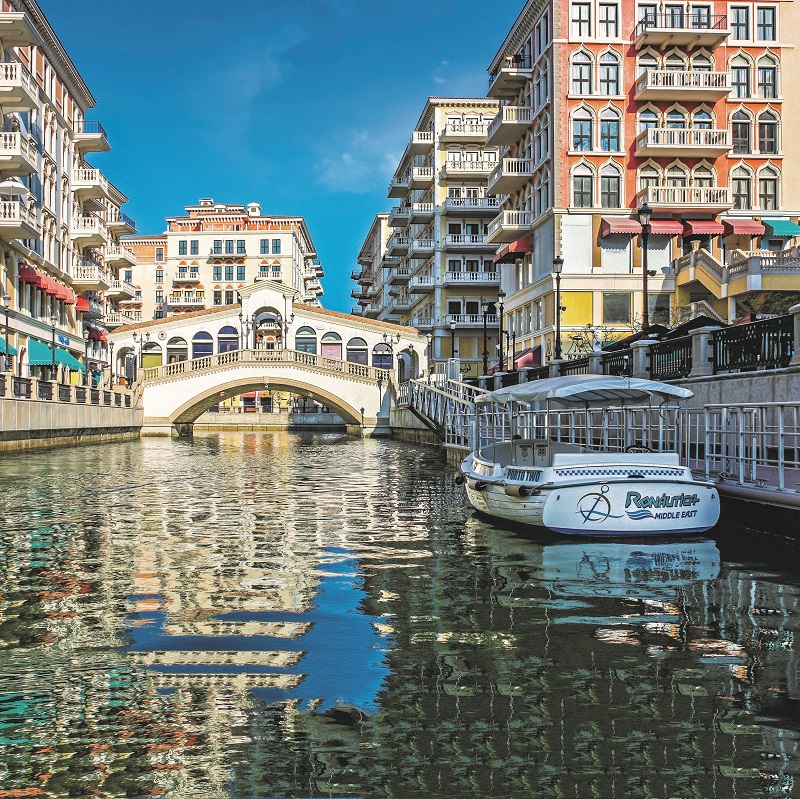 The concerned authorites have implemented, and continue to improve, new rules for the safety of guests enjoying water based tourist activities, and are making more regular inspections, something that we at Ronautica are very supportive of. 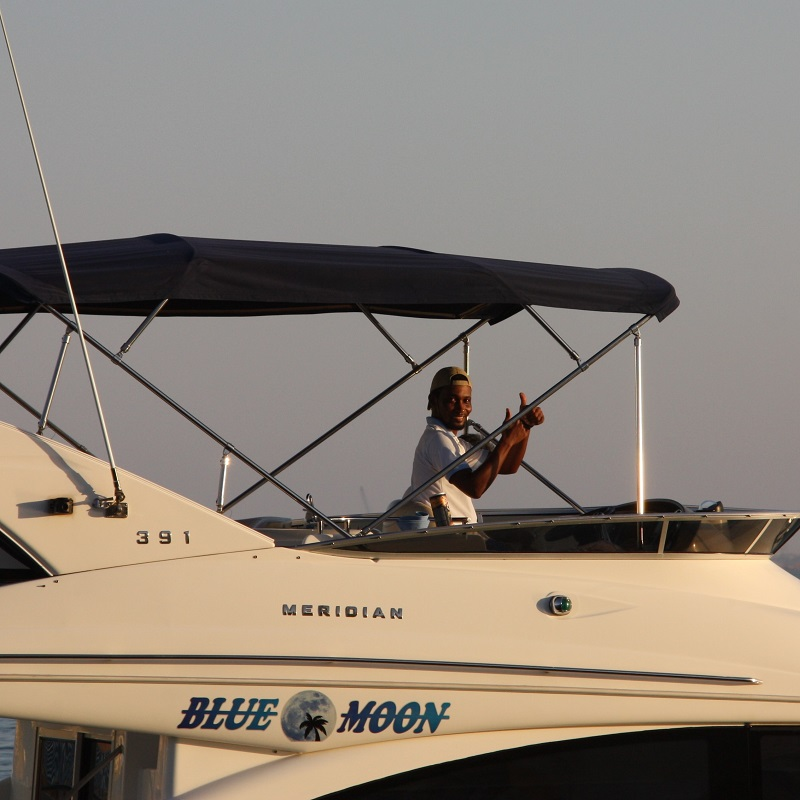 All our vessels are commercially insured, and captained by experienced and qualified crews. 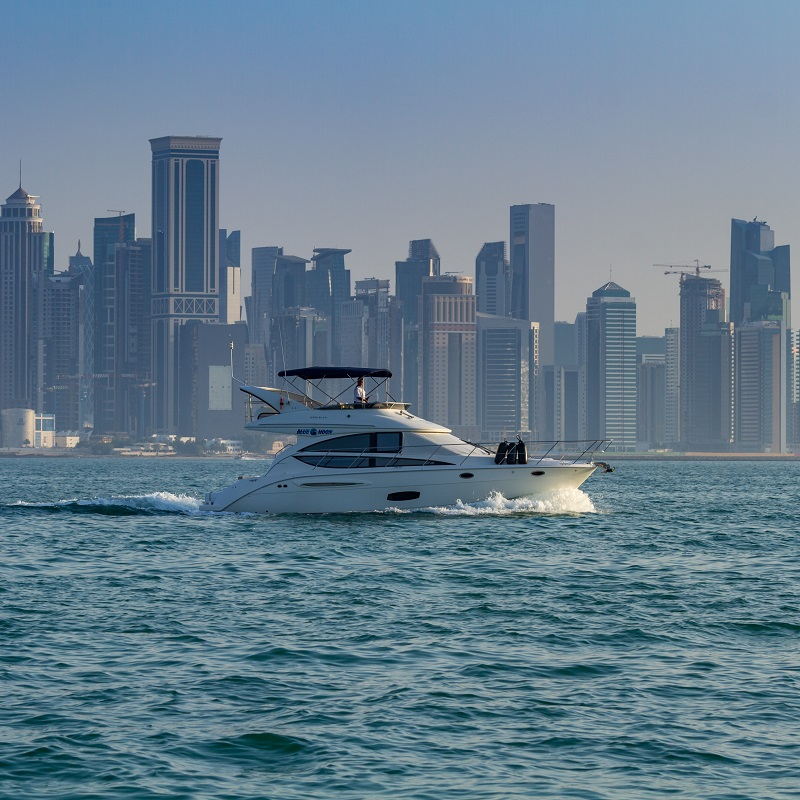 If you are on board a yacht, dhow or boat in Qatar, ask the Captain to prove that the company and vessel are legally certified and have a tourism related vessel registration. 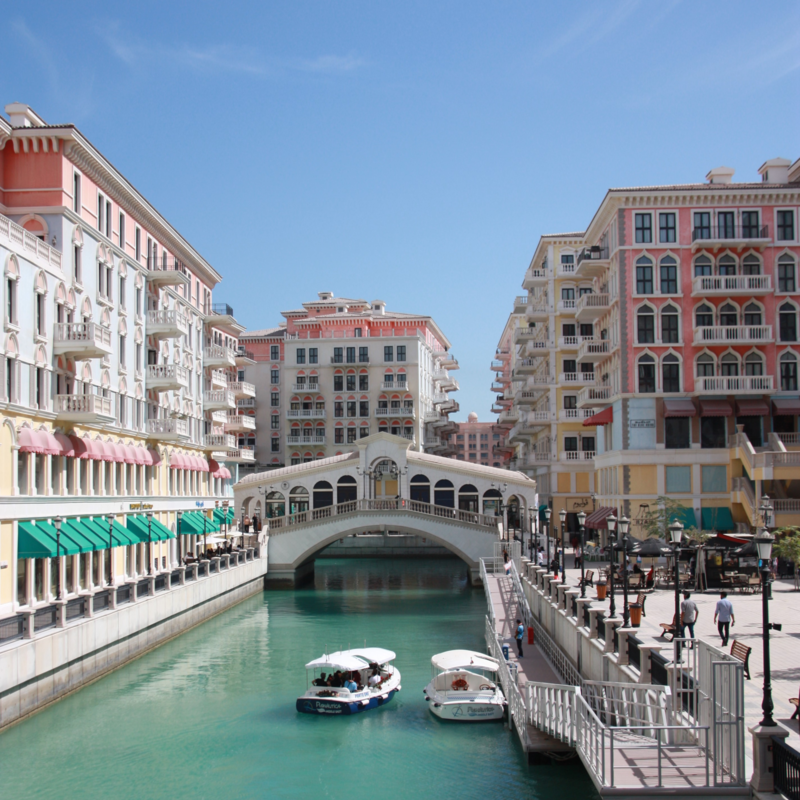 We have placed samples of the Ronautica Middle East registration documents for you to inspect. 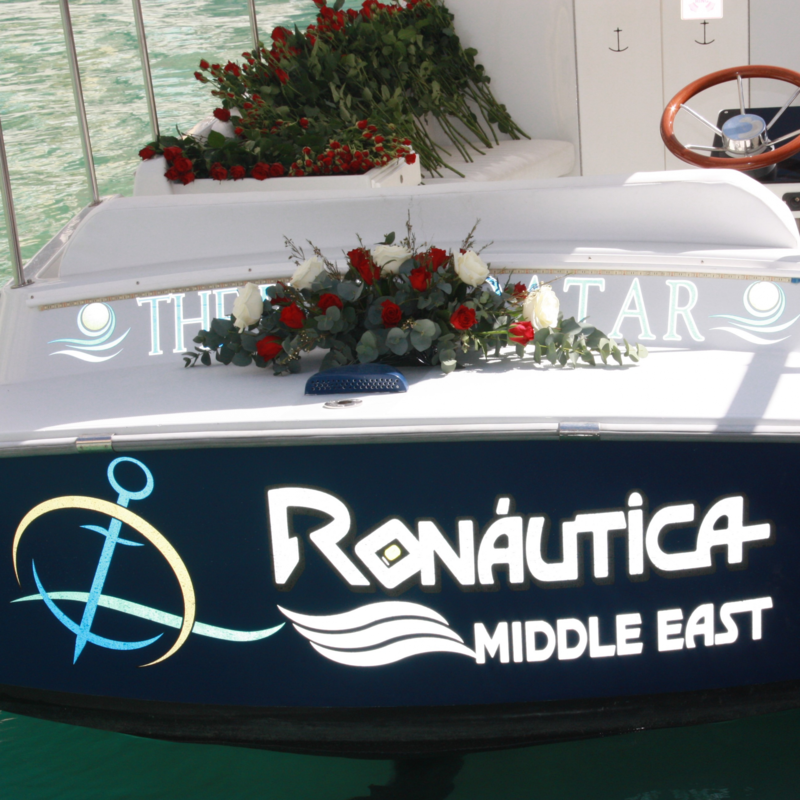 Happy sailing from all the team at Ronautica. 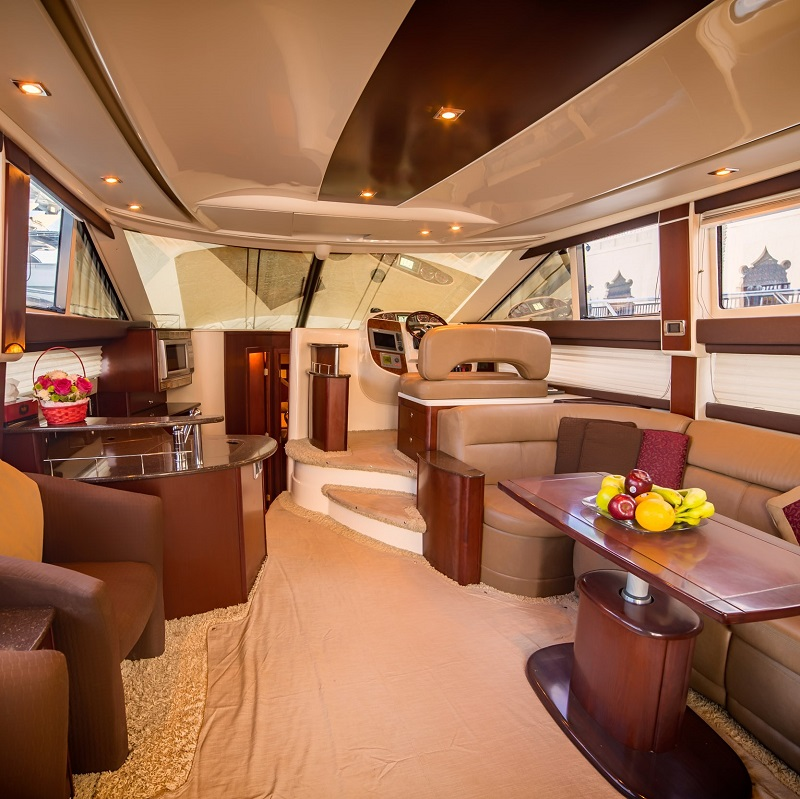 M/Y Blue Moon is a beautiful fly bridge cruiser with all the extras, gadgets and room needed to enjoy a relaxing voyage. 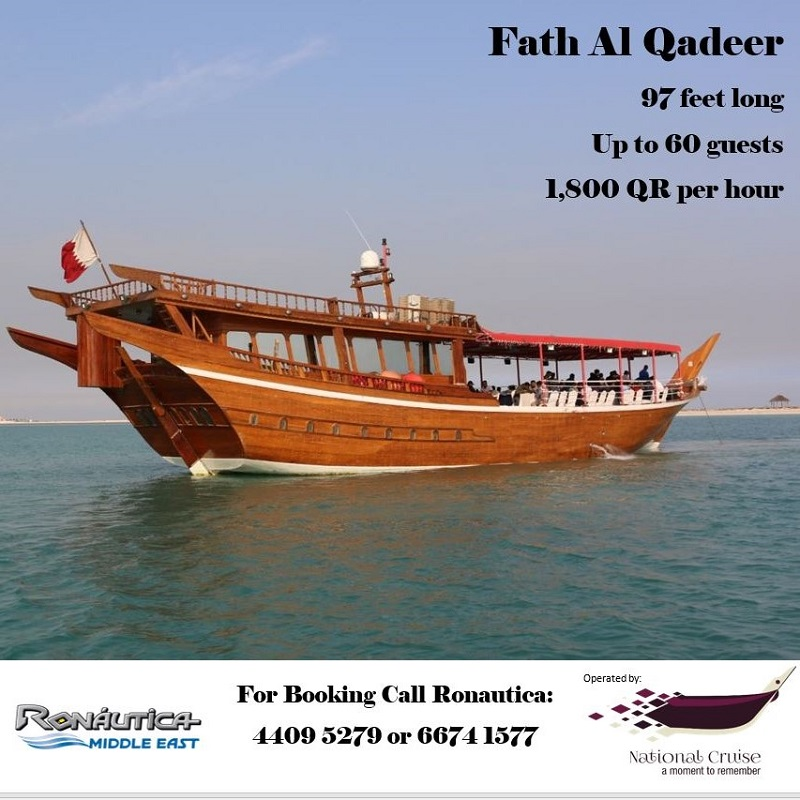 At 40 feet long she has great entertaining space and is perfect for a day cruise with family and friends or a sightseeing trip around the waters of The Pearl – Qatar and Doha Bay. 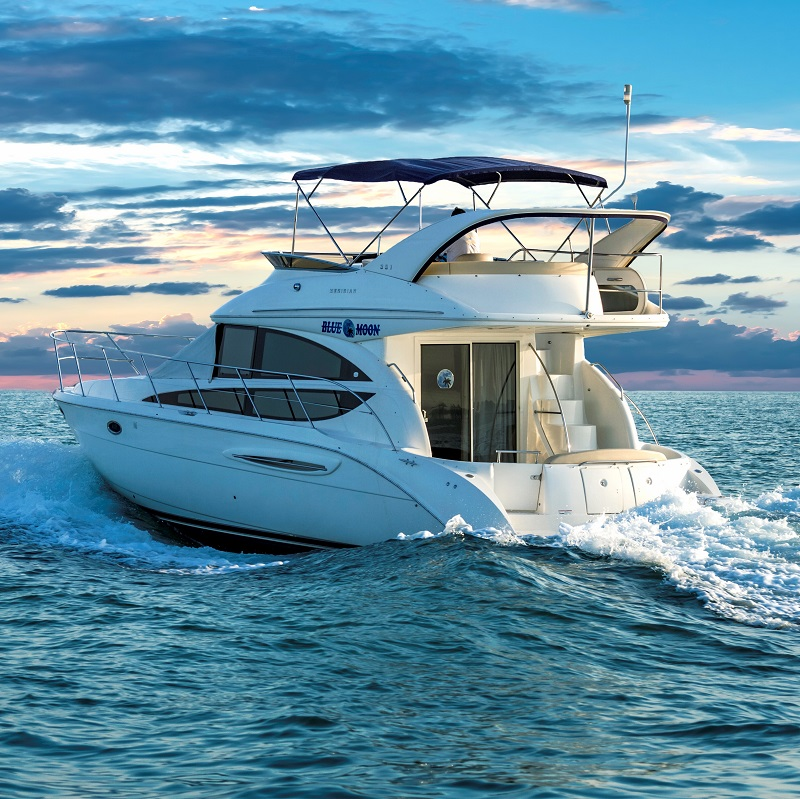 The Meridian 391 Sedan has ample comfortable space for up to 8 guests with an owner’s state room and guest cabin. 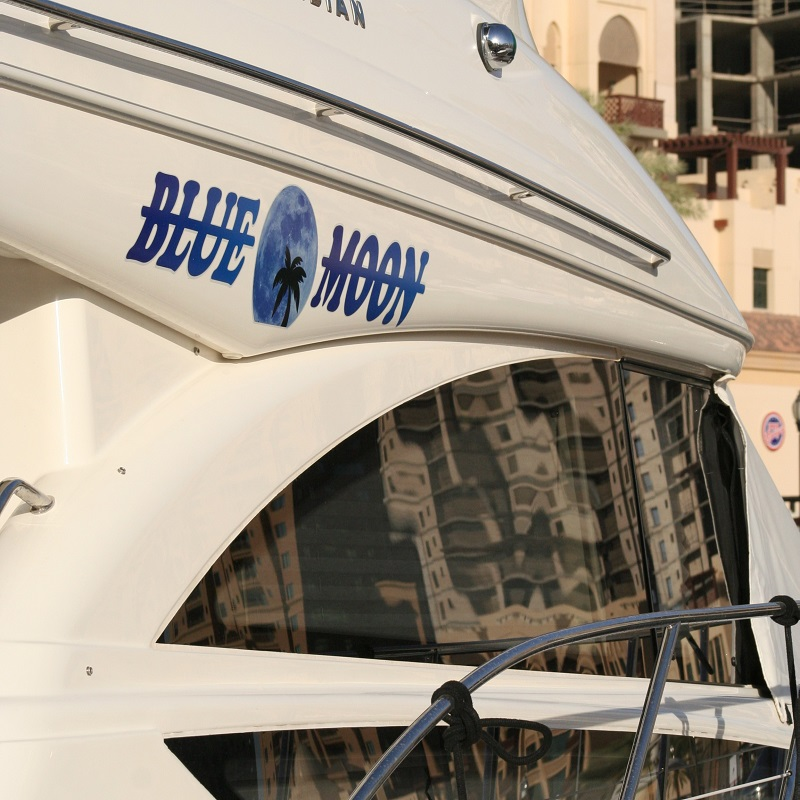 Blue Moon has a generous salon for Air-Conditioned privacy inside the boat and lounging space on the foredeck to catch some sun. Her fly-bridge gives a great view of the waters around you and she has a swimming platform with shower for the more adventurous guests. 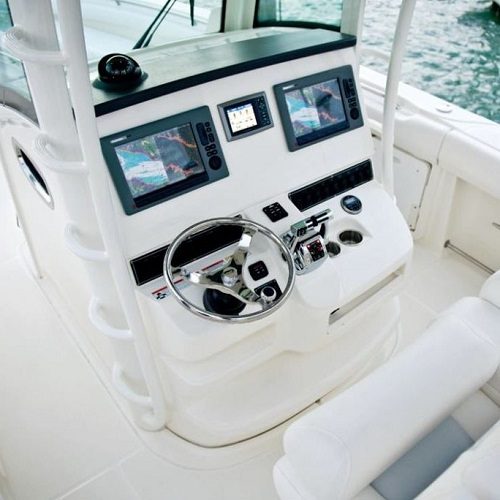 This yacht is powered by twin Cummins 380HP engines. 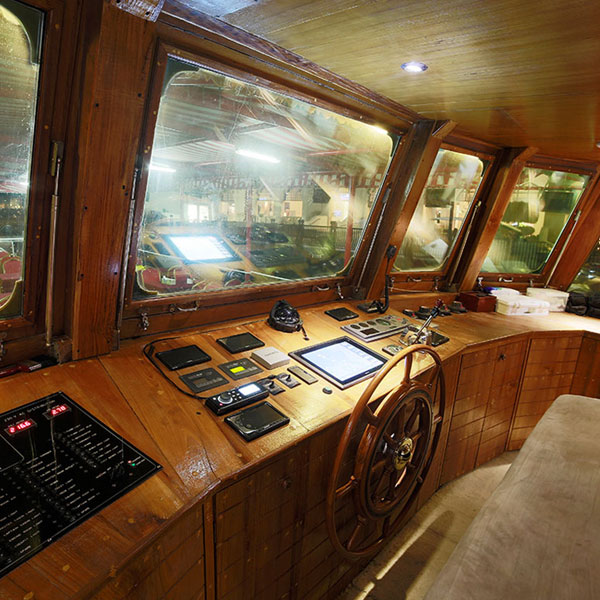 She will cruise happily at 20 knots, she has an electrical generator, refrigeration and all the safety equipment you would expect from a responsible operator. 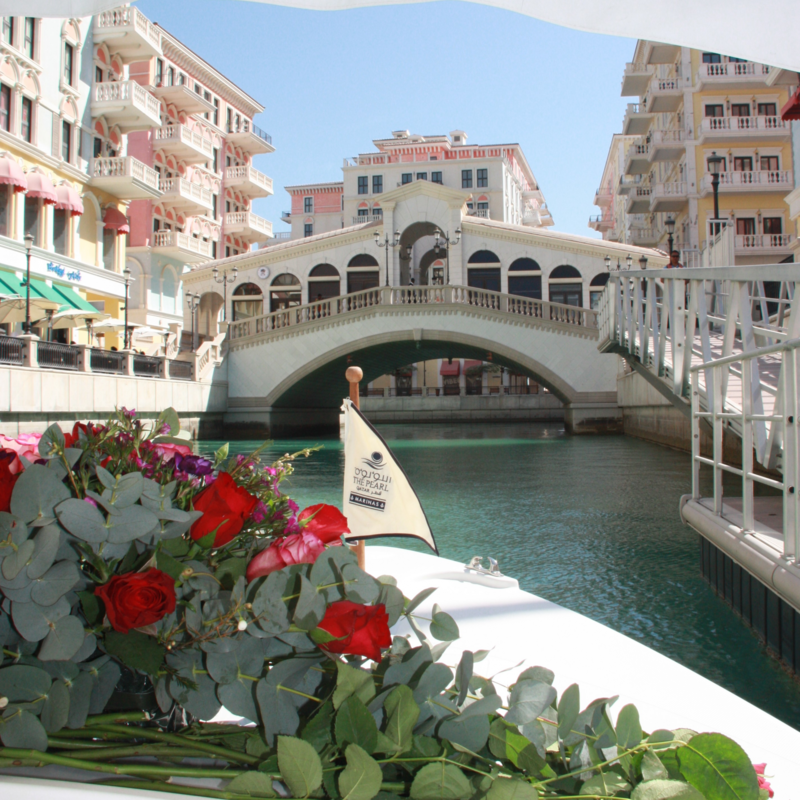 Experience our regular shuttle services in Porto Arabia and into the Qanat Quartier canals with the beautiful electric powered and environmentally friendly water shuttles. 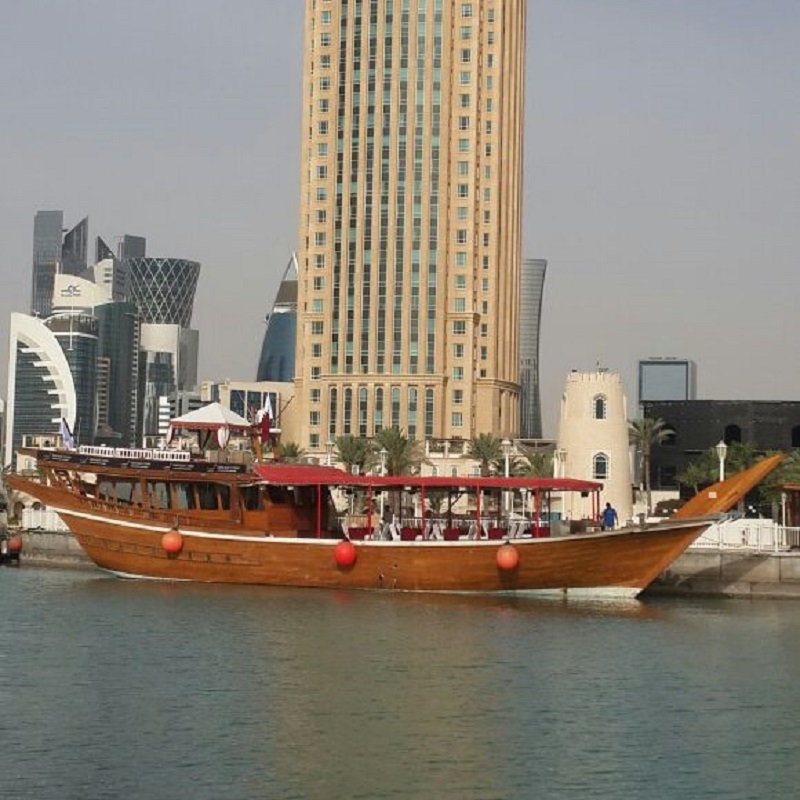 Comfortable and stable, these boats are a wonderful way to see the waters of the Pearl Qatar. 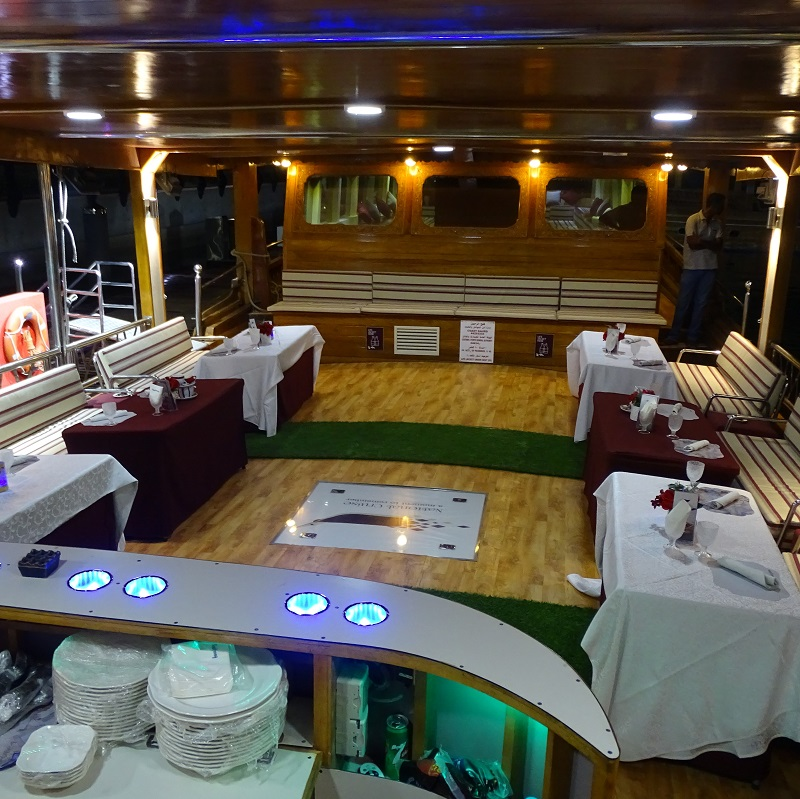 A tour lasts around 20 minutes, it is a shared service but can be taken as an exclusive single trip if you wish. 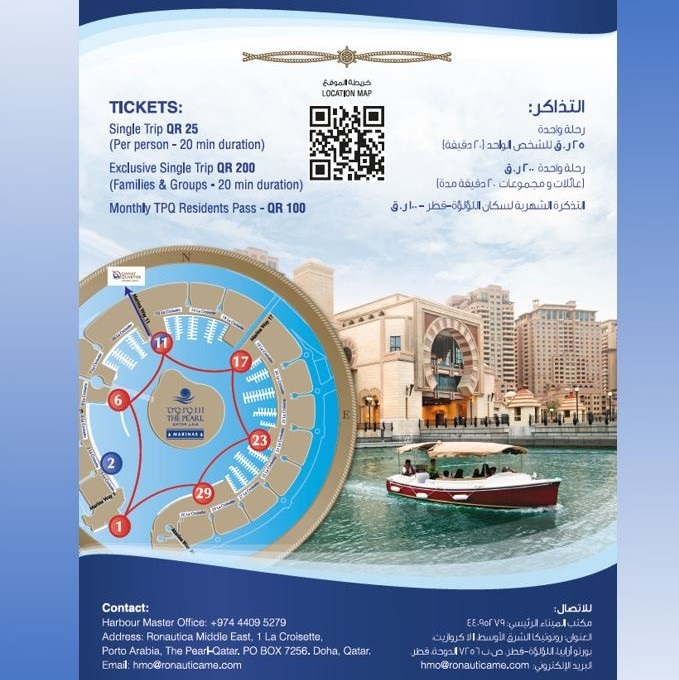 Tickets can be purchased from the Ronautica Harbour Office at La Croisette 1, or can be purchased from the shuttle drivers at the many shuttle stops around Porto Arabia or at Stazione Nobili in the Qanat Quartier. 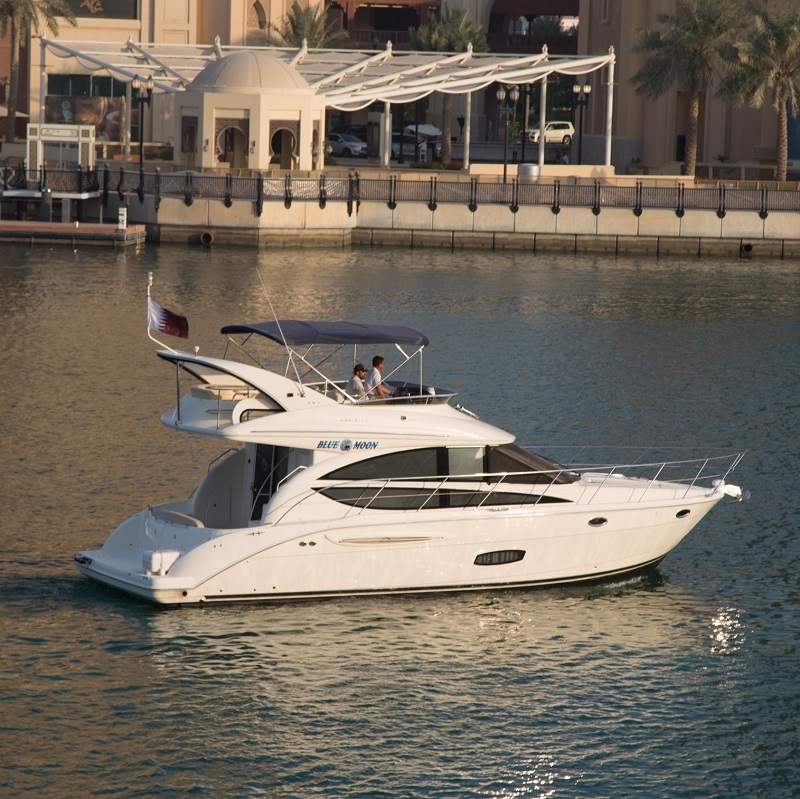 The ‘Outrage 320’ is a 10m luxurious performance sports boat designed to be fast and stable in all seas and has the power and grace to be very comfortable at any time. ‘Outrage 320’ is powered by twin Suzuki 300hp engines, which can push her to over 36 knots and will cruise happily at 25 knots. 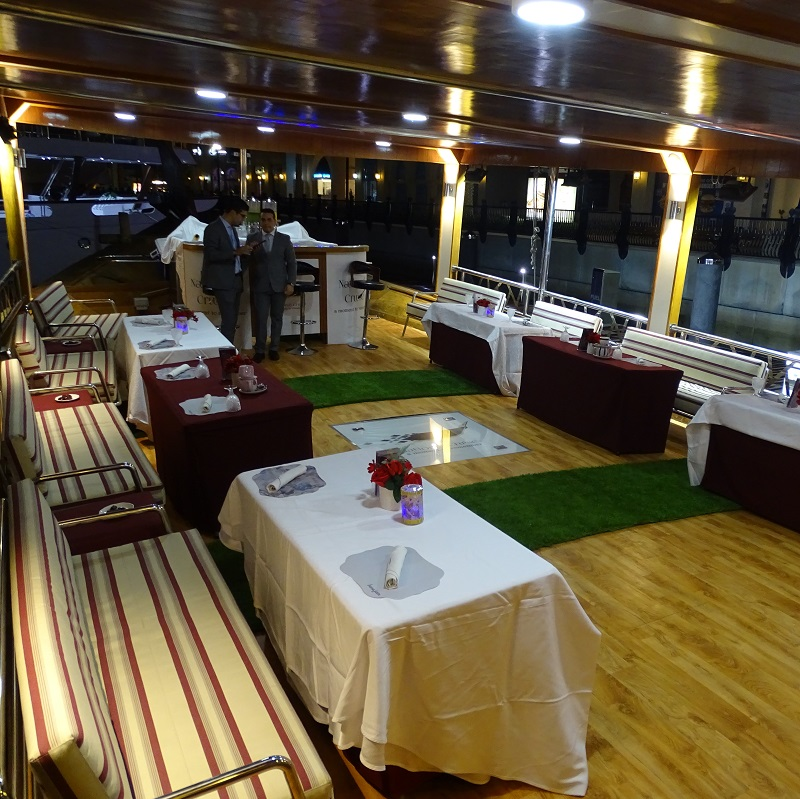 The 320 is an open day boat with soft seating all around for up to 8 people along with our experienced captain. 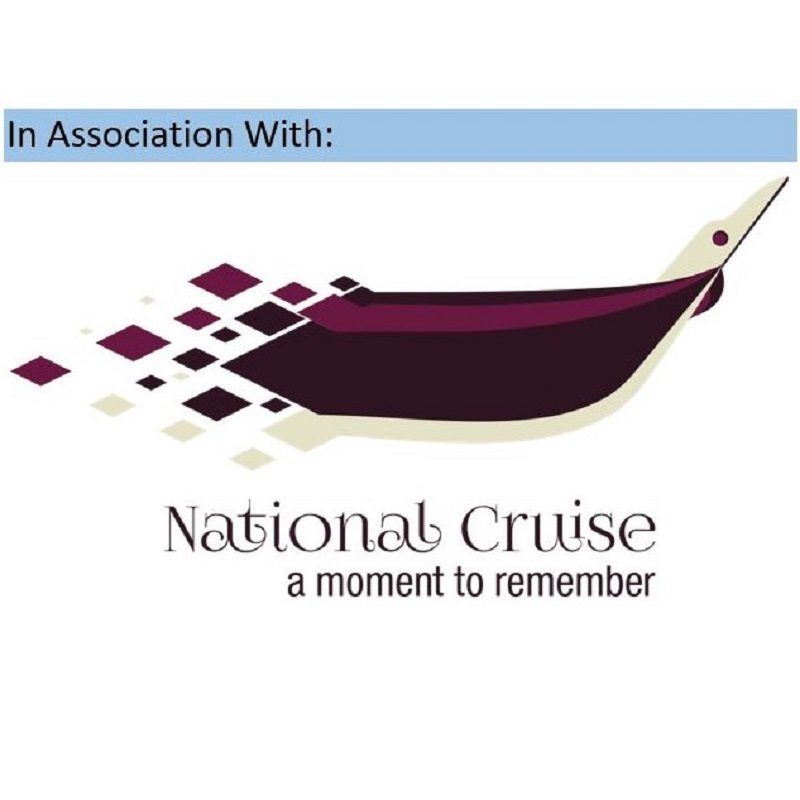 For those who wish to swim there is a fresh water shower on both the swim deck and below decks in the console WC compartment. Hourly Rate (first hour) 450 QR. 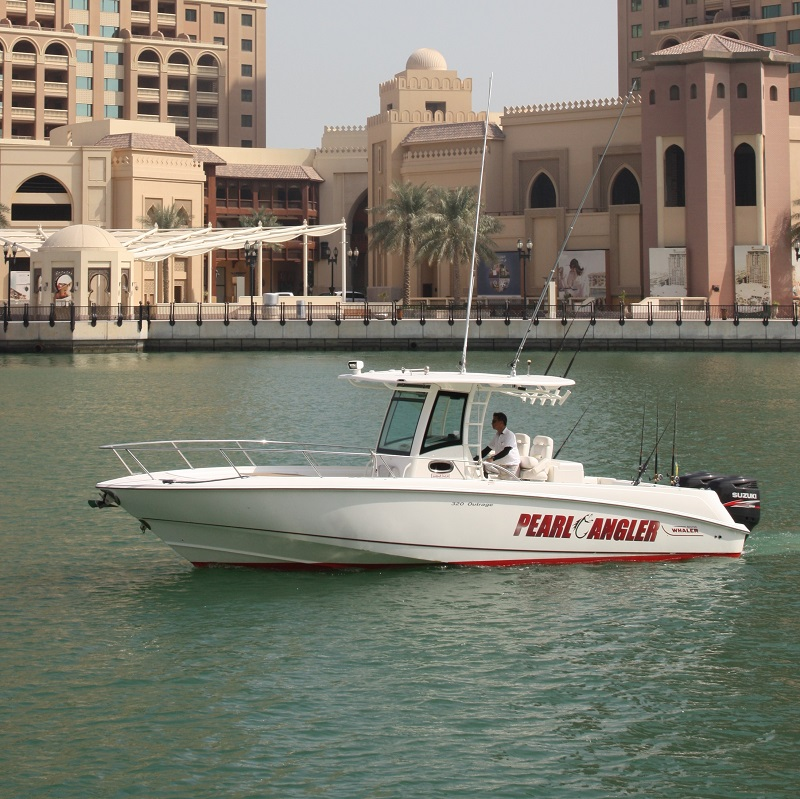 The ‘Pearl Angler’ is a 10m luxurious, performance leisure and sports fishing boat. 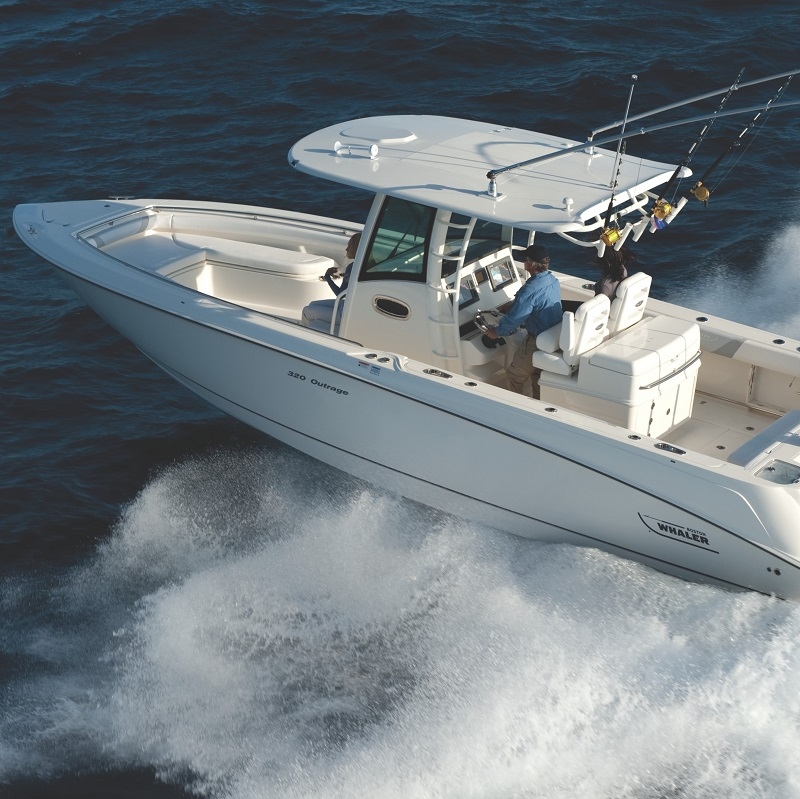 The Outrage 320 is an open day boat with soft seating all around, enough space for 6 people to run 4 rods simultaneously. 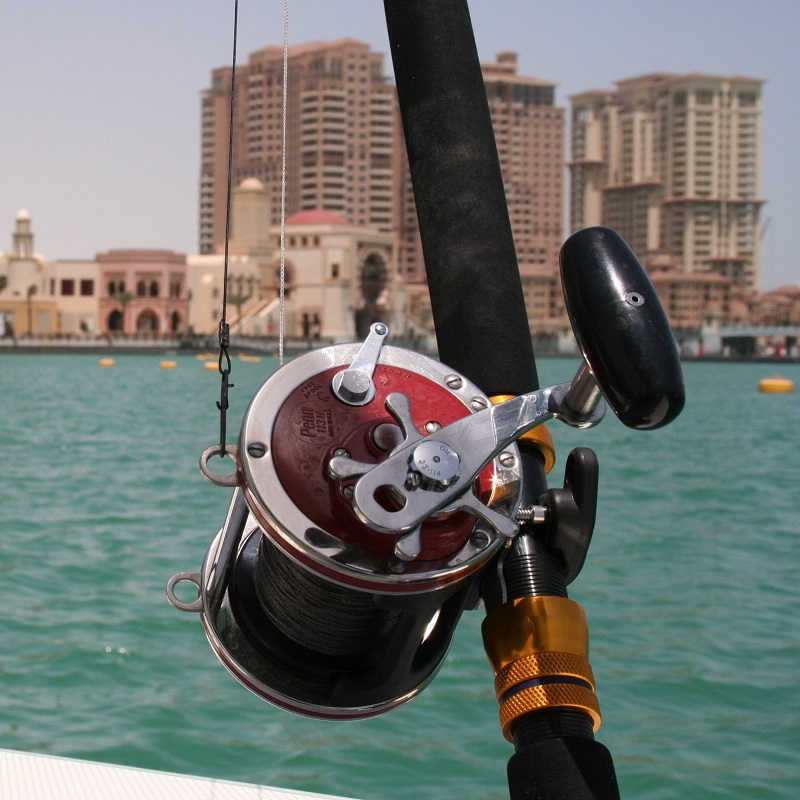 We will provide all the quality equipment you need and have a GPS full of ‘special spots’ to catch great fish, as well as a refrigerator and copious amounts of storage space. 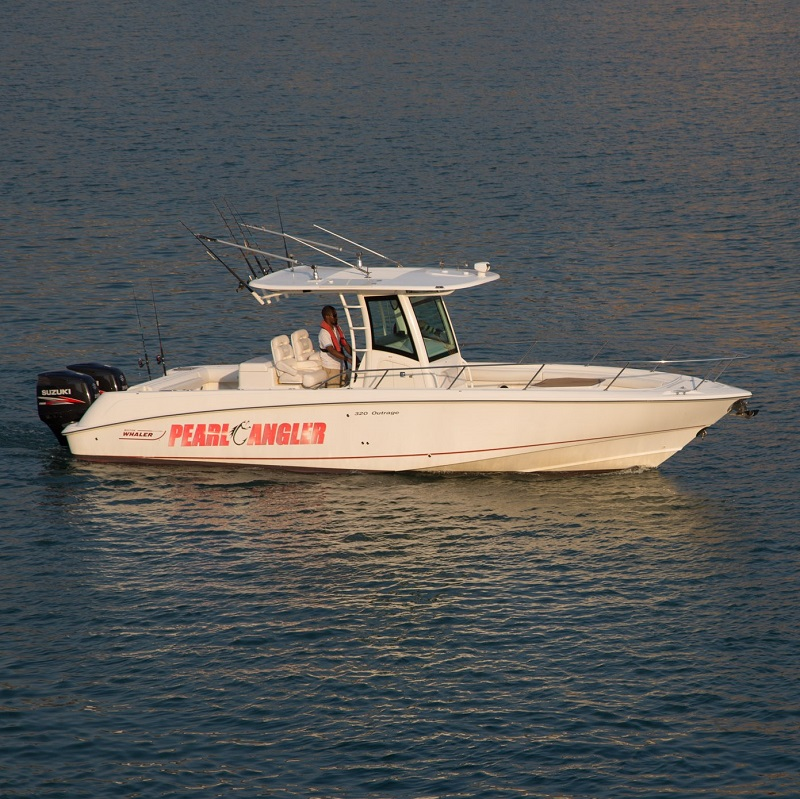 ‘Pearl Angler’ is powered by twin Suzuki 3000hp engines, which can push her to over 35 knots (64km/h). 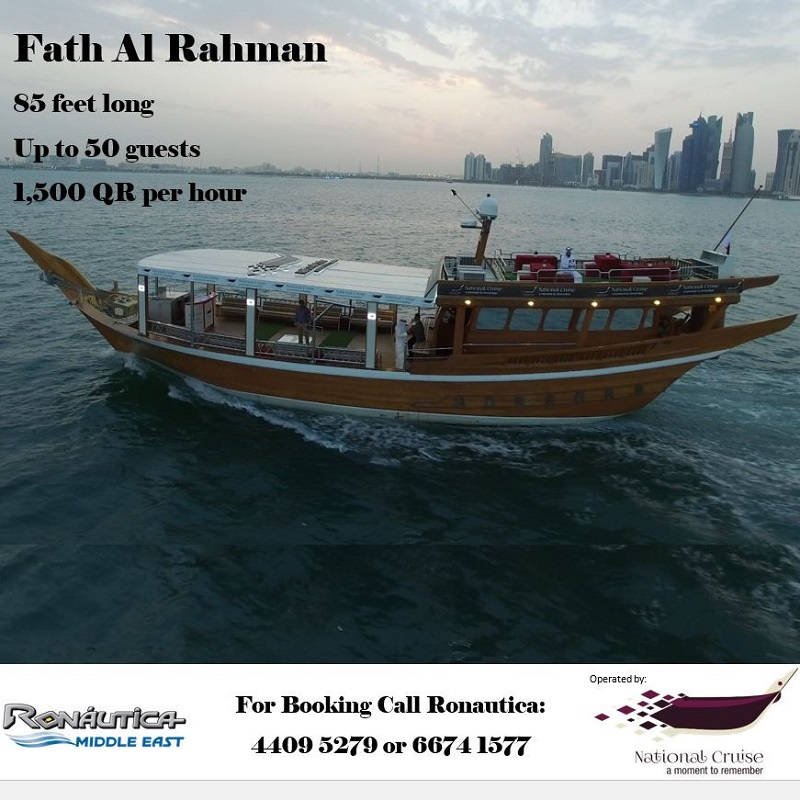 She will cruise happily at around 25 knots (46km/h) and has the capability to take you to any of the local fishing spots. 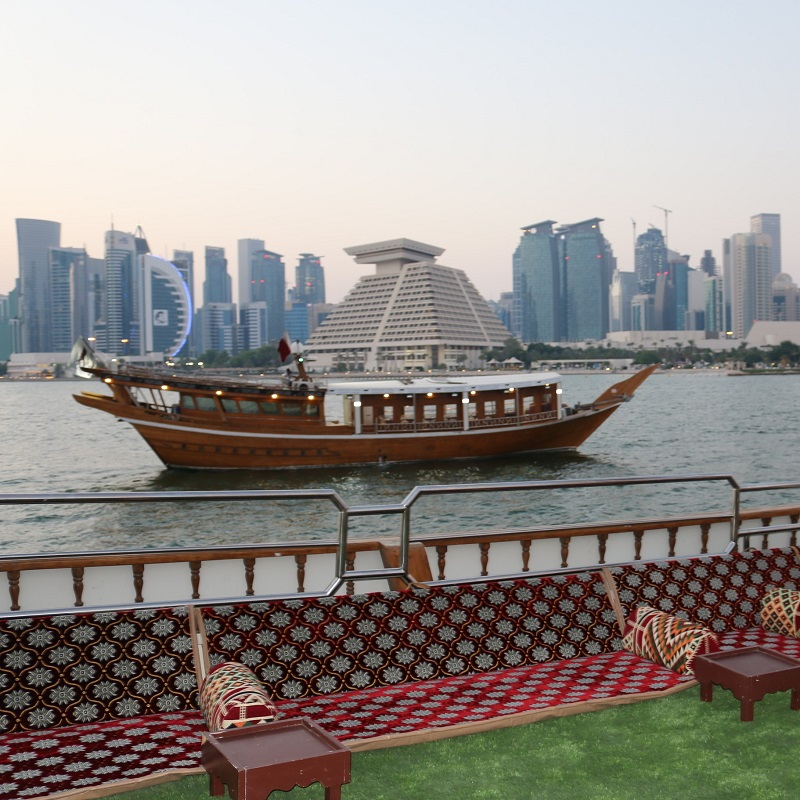 Experience our classic and beautiful historic dhow cruises, pick up from Porto Arabia at The Pearl-Qatar. 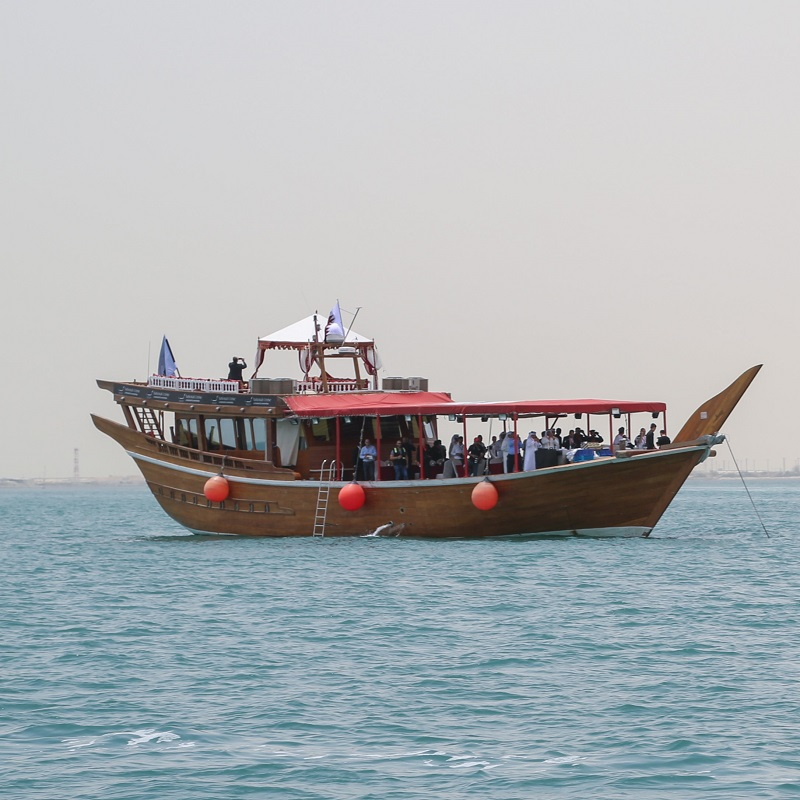 We have four lovely dhows waiting for you to cruise the waters of Doha, see the sights and even take a swim. 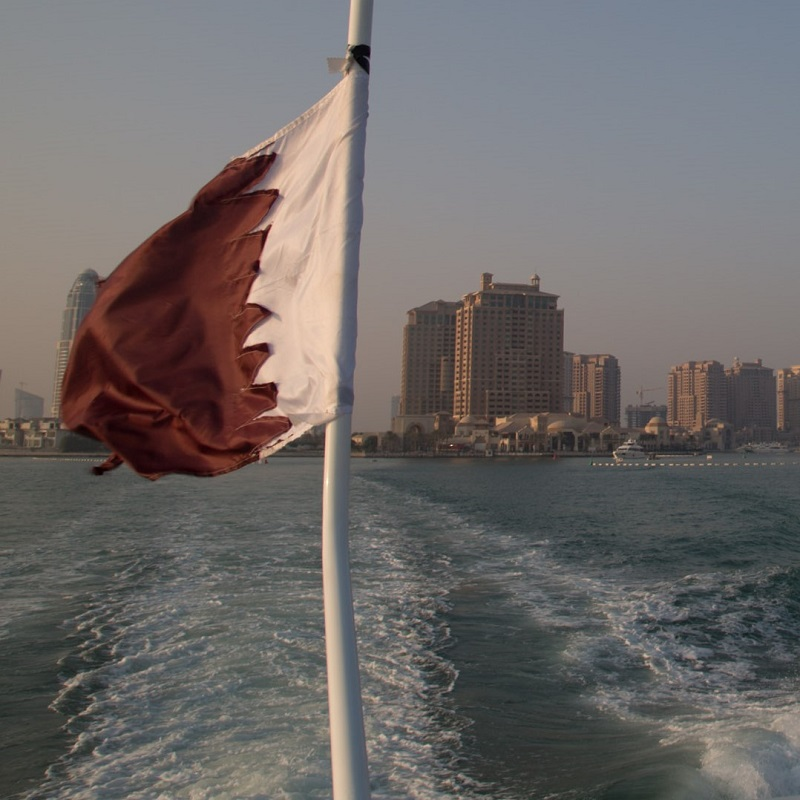 All boats are fully insured and registered with the Qatar Tourism Authority and have a friendly, experienced and qualified crew. 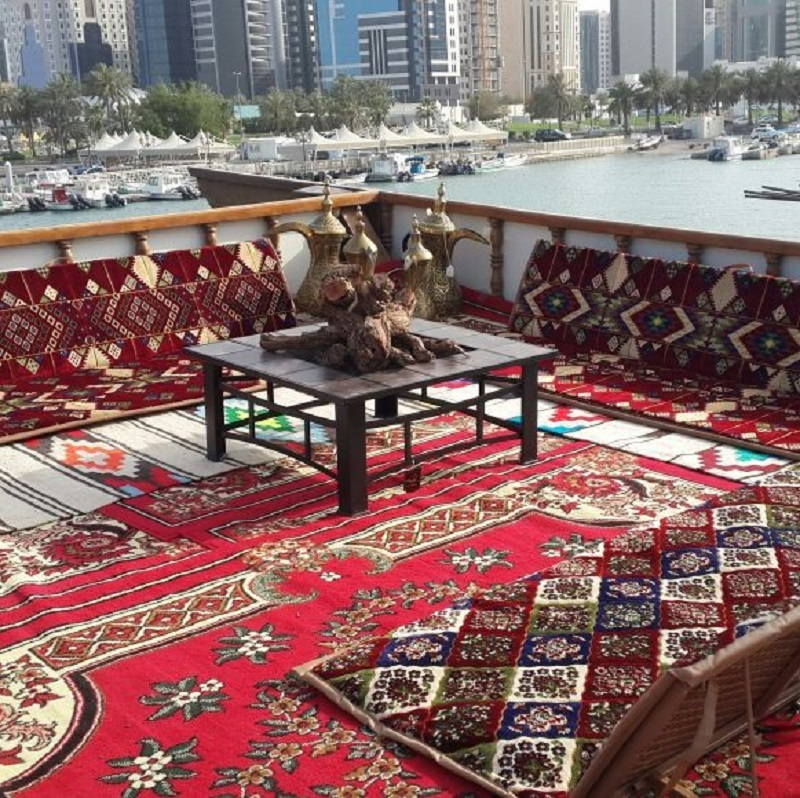 You certainly will not find a better service, more beautifully maintained or well managed dhow for charter in Doha. 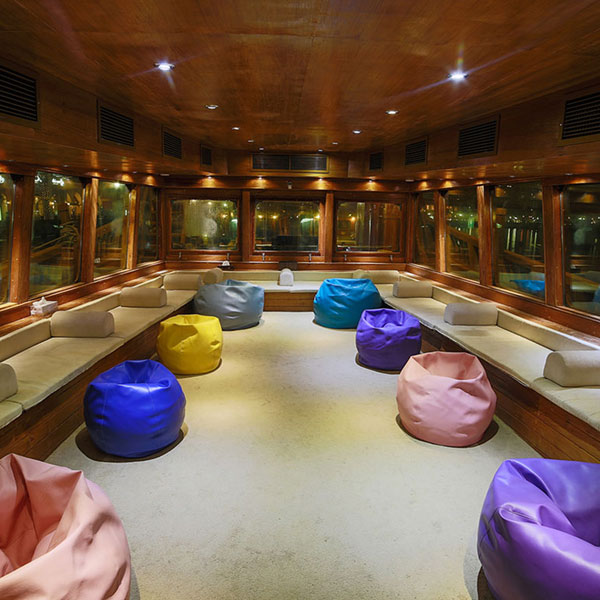 All our dhows are finished to a high standard and have open spacious deck areas, fully air-conditioned lounge areas, soft seating and beanbags throughout. Each vessel has flushing WC for male and female guests and sturdy swim ladders for those who wish to swim or enjoy water sports. 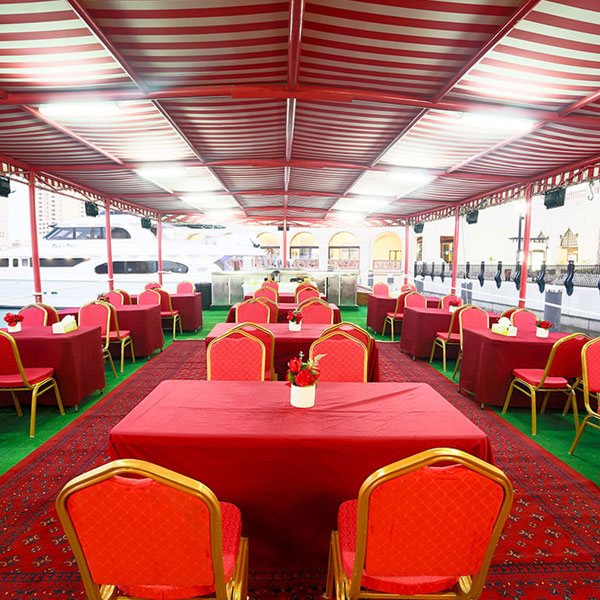 Each dhow has a powerful diesel engine and the owners have made special adjustments to ensure the dhow is quiet and clean in operation. 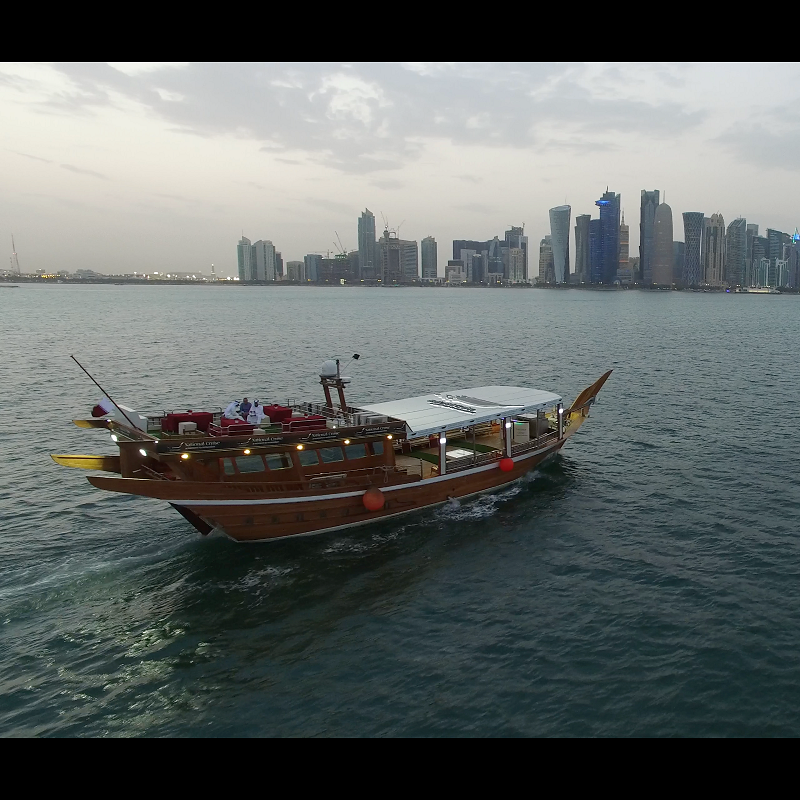 These dhows are some of the fastest in Doha and can reach up to 14 knots cruising speed. However, they usually take a more leisurely path and enjoy the scenery. 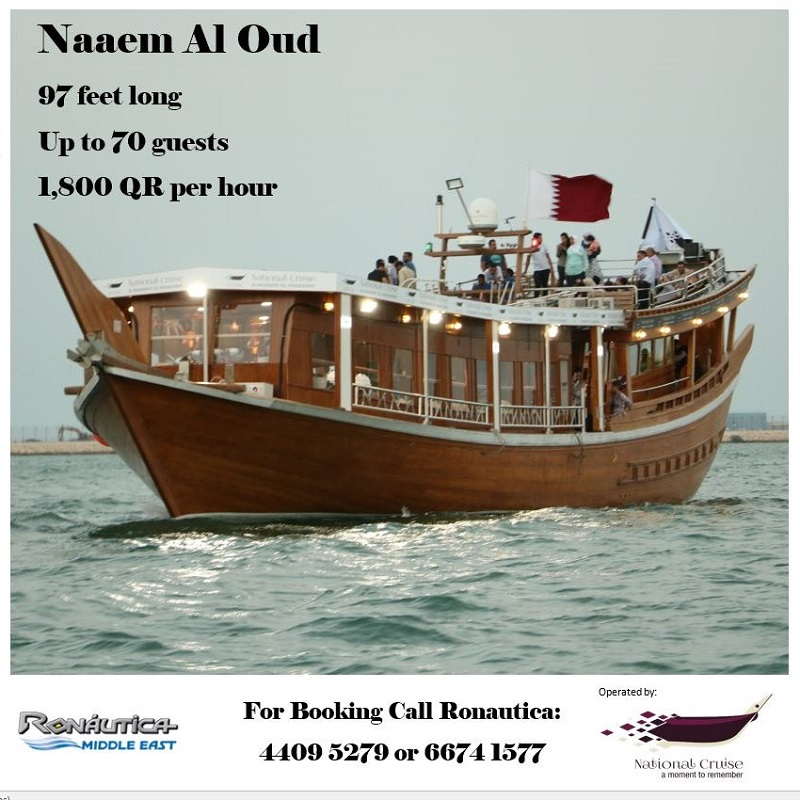 We also offer scheduled cruising on weekend evenings with a trip from the Pearl – Qatar. 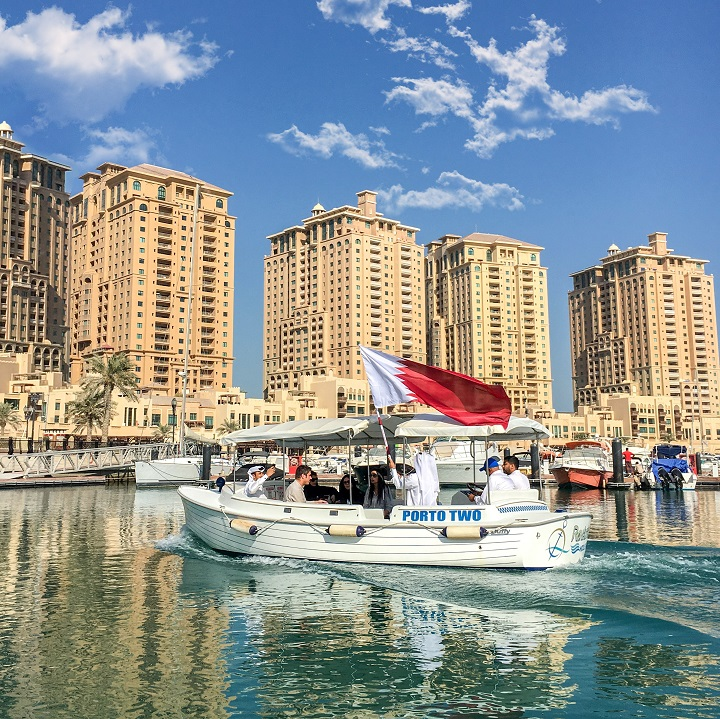 Sailings last for an hour and take in the view of Katara Beach, the West Bay skyline, the Corniche and turning at the Museum of Islamic Art for the return trip. 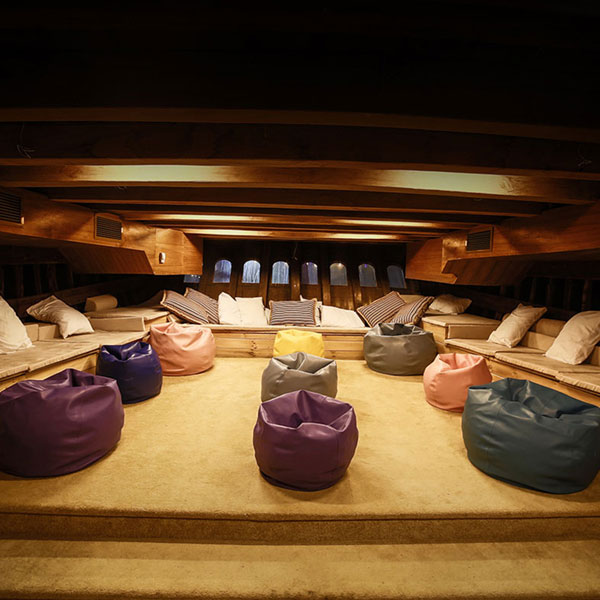 Special dining experiences, events, meetings and entertainments can all be arranged for your enjoyment.